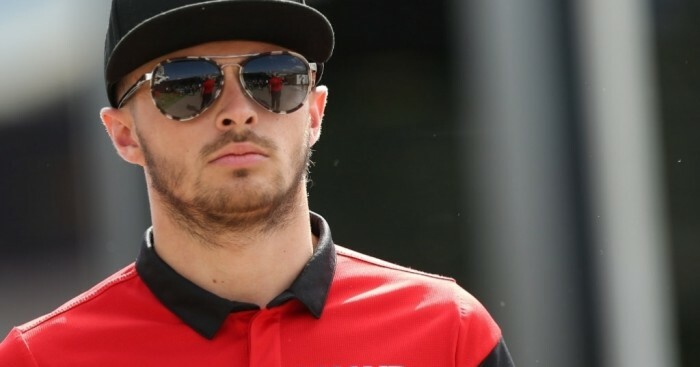 Will Stevens is determined not to be a one-season washout in Formula 1, saying he wants to earn a career in the sport. The Brit made his debut with Caterham at the final race of the 2014 season and many expected him to disappear from the scene, but he clearly made an impression as Manor snapped him up. And although Manor are way down the pecking order this year, the 24-year-old believes he has done enough to warrant his place on the grid. "Okay, we’re racing at the back, but the people inside F1 can still see that you’re doing a good job and achieving the maximum you can in the car that you have," he told Formula1.com. "It doesn’t matter where I am on the grid, this year was all about me proving I’m ready to be in F1 and I’m ready to stay in F1. I’m not here just to do a year or a few races – I want to earn a career in F1. "So far this year I couldn’t have asked for anymore. I’ve settled into the environment really quickly and I feel comfortable straight away being here. I’m enjoying every minute. I’ve been welcomed into the team and felt at home straight away – I think that’s why the results so far have been strong." Stevens' race seat at Manor is guaranteed for the rest of the 2015 campaign and, while it would be easy to lose focus and start looking for a drive for next year, he is determined to concentrate on the job at hand. "I’ve got lots of people working on my behalf to sort all those things out. I’m not different to any other driver – I concentrate on the driving side and there’s other people trying to sort my future out," he said. "My job is to focus on what’s happening now and to achieve the best job I can. If I do that it only helps the discussions that everybody is having [on my behalf]. So personally I’m focussed on learning, making sure I’m doing a good job and getting all the information I need to get the most out of the car. Who knows what will happen next year." As expected, the Yorkshire-based squad are once again way off the pace with their drivers often finding themselves three or even four laps down on the front-runners, but the team upgraded the MR03B ahead of the British Grand Prix and things have improved. "The updates had been planned for a while, and as soon as we put them on the car I could feel an improvement straight away to the balance," Stevens said. "As soon as you start putting things on like that it just gives you more confidence as a driver to push hard. So the updates are working really well, and it’s a really good job from the team to get them working straight away. "It just shows the direction we’re going in and that we really are improving. Silverstone is a high speed track with long straights and you’d have thought it wouldn’t suit us compared to the other cars, but it was the closest we’d been all year. So it really does show that the upgrades worked."